Blackfathom Deeps (BFD) is a partially underwater dungeon in northwestern Ashenvale. It is accessed by a stair-lined shaft that requires one to swim through an underwater entrance. 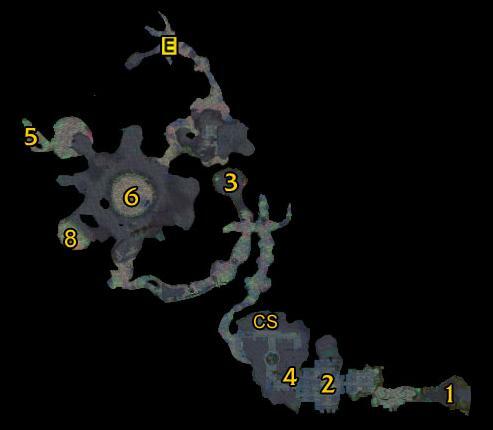 The Deeps are comprised of a series of watery caverns leading deep to a temple devoted to the Old Gods. The Twilight's Hammer cult runs this shrine, and joined forces with local naga and satyr to defend the holy... Blackfathom Deeps is in the Northwest Corner of Ashenvale, on the western coast of Kalimdor. Once you're in the pre-instance part of BD, you'll eventually come to a part that looks like a dead end. In fact, you have to jump into a pool and swim down beneath to continue. You'll eventually come to the instance. 1/05/2015�� Anyhoo, my turn for a /selfslap, as I forgot to look in my World of Warcraft Dungeon Companion to see if there was a section on Blackfathom Deeps. There is actually a 10 page section, on pages 38-47. It's a guide to playing the MMO dungeon, but I think a lot of it could be reverse-engineered to give a GM advice on placing monsters and stuff like "Sapphires of Aku'mai". Blackfathom Deeps is a partially submerged temple on the Western coast of Ashenvale in an area called the Zoram Strand. The southern part of the beach is a Horde outpost with a flightpath, and the northern part of the beach is where BFD sits. getting to blackfathom deeps The approach to this dungeon is a simple one, and people of appropriate level can make it to the instance without even breaking a sweat. Blackfathom Deeps A lot of the greens from here are quite valuable, and the zone has a ton of different rare zone drops as well, most which are worth 10-50k. One important thing to remember is to not kill Domina, Subjugator Kor�ul or the Guardian of the Deep.